Brian O’Connor was born in Belfast, Northern Ireland and has developed his career as a consultant, manager and/or investor in both private and public companies. Brian has worked in the UK, the US and lived in Hong Kong for eleven years. He has gained vast experience as a company director in a variety of industries and professions, and has raised significant sums for companies through both private equity structures and stock exchange listings. Through his long established consultancy company, Corporate Direction Ltd, he is currently providing strategic advice to Governments, International organisations and companies on the challenges facing healthcare in general and specifically on the Connected Health opportunity. He is among others involved in the Smart Health Programme that aims to validate and scale up smart ICT solutions for active and healthy ageing in Noord-Brabant with the focus on social innovation. Edwin Mermans is responsible for international affairs within the Department of Social and Cultural Development and involved in the worldwide Districts of Creativity Network. He has a background as a journalist and is experienced in integrating social media in innovation processes. He is co-initiator of the Community of Regions for Assisted Living, (Coral) which is a European network about regional policy for active and healthy ageing and connecting regional multi helix learning ecosystems. Edwin Mermans has experience in a range of European projects. Andrea is responsible for the European engagement and management of the European projects focusing on the deployment and scaling-up of integrated care solutions in Europe. She is also the coordinator of the B3 Action group on Integrated Care of the European Innovation Partnership on Active and Healthy Ageing (EIP-AHA), specifically working on the development of concrete tools (toolkits, policy recommendations, maturity models) to highlight the potential of ICT to underpin the delivery of integrated care services in Europe. Andrea also focuses in her work on knowledge transfer and exchange of good practices at national and European level to stimulate scaling-up of innovative solutions in health and care delivery. She studied at the University of Matej Bel in Slovakia where she was awarded MA and PhD in International Relations and Diplomacy. Andrea also continued her studies at the University of Northern British Columbia (UNBC) in Canada with a curriculum focusing on International Development. 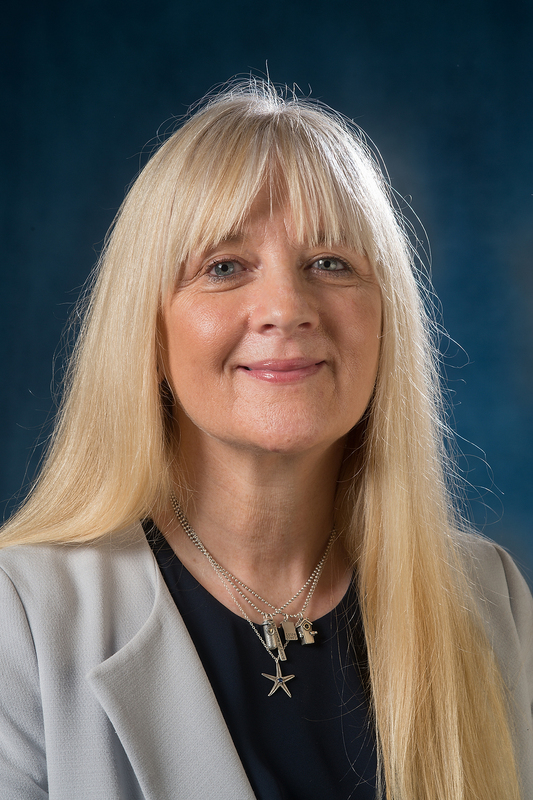 Dianne Gill is the Deputy Head Pharmacy and Medicines Management - Clinical Pharmacy Services, Northern Health and Social Services Trust and Assistant Director – Pharmacy Clinical Services, Medicines Optimisation and Innovation Centre. She is responsible for a team of approximately 70 staff delivering comprehensive pharmaceutical care to inpatients within NHSCT. She has led many projects developing the delivery of medicines management to the patient. She has a keen interest in wound management and is currently involved in several projects related to wound care. Tomaž Gornik is the CEO and co-founder of Marand. He graduated at the Faculty for computing and information science. Since 1989 he's been the chief technology developer of solutions mainly in healthcare and telecommunications. Tomaž is a regular speaker at international conferences. Stanislav Baša graduated at the Faculty for Electrical engineering and specialised in industrial electronics. More than 10 years he was engaged with corporation Gorenje developing industrial computers, collaborating on large projects (new steel mill at Jesenice, central bakery in Moscow..). and working in technology group on automatic test procedures for mass production of electronic devices. Later he joined Mikropis Holding and became purchasing and relationship manager for international partners . His focused on solution for the retail industry, especially on self service in stores. He is a member of IRUG (International Retail User Group) and TGCS / IBM Self Checkout Focus Group. In 2011 he joined RC IKTS and took over the role of development group manager and recently he has been focusing on marketing activities for 24alife solutions. Drago leads a private research company MKS Ltd. in Ljubljana, Slovenia. His expertise is in designing and establishing telecare and telehealth services delivered to disabled and chronically ill population in their home environment. Dr. Rudel has also rich experiences in European projects as a partner, subcontractor or a collaborator. Since 2011 he serves as a reviewer of AAL projects and as an EU expert evaluator. Recently Dr. Rudel participated in the United4Health project, the largest EU deployment in telemedicine where several models of patient’s support were implemented for CHF, DM, COPD and hypertension with over 3.500 patients enrolled. Tina is a health economist by profession, worked several years as a consultant to health insurers and hospitals in the Netherlands. Last five years she works as a project lead in IT company XLAB, focused on the development and sales of medical software. She is also one of the Healthday.si initiators. Aleksandar Gavrić was born on 28th of February, 1989 in Kranj, Slovenia. He has earned Medical degreefrom the Faculty of Medicine, Ljubljana in 2008 and started a medical internship program at the University Medical Center in Ljubljana right after. He started gastroenterology residency program in 2015 that is to be completed in 2021-22. He has been a columnist for Medicine Today (Medicina Danes) since 2013 and is also a member of the editorial board of the newspaper. Because he is to busy to start a start-up and change the world by its service he is trying to affect the Slovenian medical society by writing positively oriented columns and share ideas about latest medical innovations. He is also technical editor of the professional medical journal Gastroenterolog. To keep healthy he is training for marathons to improve 3h52min from the last run. Since being a member of Slovenian national vaterpolo team in high school and experiencing international sport scene his main focus is to improve Slovenian medicine with the focus on the best practices from other countries rather than being content with the position of a resident in the biggest hospital in Slovenia. In free time he is currently working on the project 'Interview with outstanding physicians in Slovenia' that will be hopefully published soon. He lives in Ljubljana and is a proud father and a husband.